They didn’t do it for the fanfare. 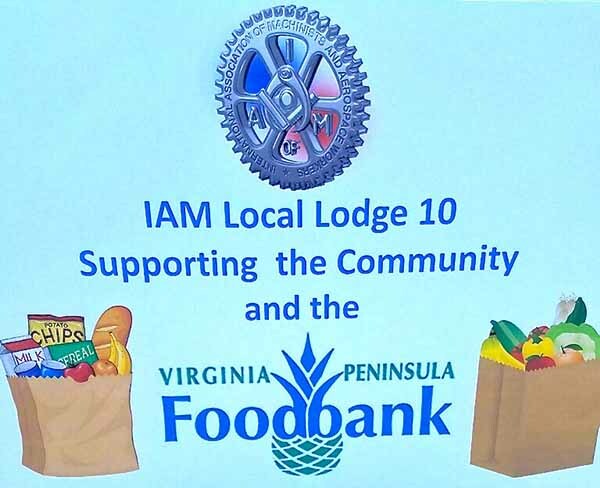 In fact, it wasn’t until weeks later that anyone started hearing what the members of IAM Local Lodge10 in Newport News, VA had done one brisk, fall Saturday in November. Because for this lodge, community service isn’t something to brag about, it’s just something you do. More than a dozen members of Local 10 and their families spent the day loading food onto trucks that will be distributed throughout an area of the country where one in seven people struggle with hunger. Machinist Bernard Banks, who helped organize this event, wants the community to know the IAM is here to help. “Especially in this area, the union gets a bad rap and we want to change that. We have some of the best jobs in town working for Continental Auto Group and we are grateful to be able to help those in our community who may need a helping hand. This is just one of many volunteer opportunities we are organizing for the future,” said Banks.